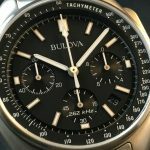 Not many American watchmakers enjoy as long of a history as Bulova does. Founded in 1875, this watch has been there for it all. Whether talking about the Apollo 15 mission in 1871, or the many different economic times the nation has seen, this is the watch that has been there through it all. The look of the watches has evolved over the years, but at the heart of it, the watch company has remained the same. They still pursue making the best watches available on the market and maintain the American ideal of always reaching for the next level. Started in Manhattan by Joseph Bulova, Bulova watches incorporates the best value with the highest quality. Every watch is designed with the intent to honor new technology while maintain craftsmanship and innovation at every turn. This is why the company provides watches designed for all walks of life as well as for every kind of activity. 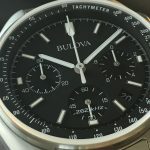 The high quality materials used to create these watches include 316L medical grade stainless steel, diamonds, carbon fiber, mother-of-pearl, Duramic (Bulova’s exclusive ceramic/nylon composite) and top quality leather. All you need to do is decide first what your price point is. There are Bulova watches to meet all budgets. You will then need to decide which kind of watch you’re looking for. Are you looking for a watch to wear to work, something to jog in, or something for everyday use? Once you know which collection you’re going for, you need to decide on the individual style you’re going to enjoy wearing. Each watch has its own characteristics you will be able to associate with. All of the watches will maintain accuracy as long as you own the watch. You can own a piece of history when you purchase your own Bulova watch. Enjoy having the watch that is among the oldest in America and yet is still highly innovative. 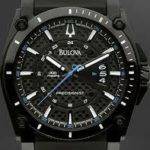 From the bands, to the faces and cases, these watches have so many design elements to choose from, it may be difficult for you to find the kind of look that is right for you. But, it will all be worth it.